"I am the master of my fate; I am the captain of my soul." This was a line from "Invictus," a poem I had not studied in years, yet I found myself thinking about it one morning on the way to hot yoga. It was appropriate, for that same day I had a realization during meditation: Surrender. It was through surrender that I truly became the captain of my soul. Through surrender, I gained peace. As I walked into yoga, I noticed a girl to my right. On her back was a tattoo. I am the captain of my soul. I was shocked. I told her I had just been thinking of that very poem (which was met with a silent stare). For me, it was a truly spiritual moment, one I would never forget. It was raining when I got home. I stood outside in the torrent, letting it wash my problems away. Pure reverence for the world washed over me with the rain and I had the most beautiful sense of being alive. I thought to myself: None of it matters. I surrendered. When I was young, a little boy lived with us. Tanner. His mom and my dad weren’t married, but I loved him no less than a brother. He brought out my inner child. When I was with him, I was free to be my truest self. He gave me purpose. Then one day, his mother passed away. Cancer. And Tanner and I had to part. I remember him seeing me at the front door and running into my arms for one long, final embrace. I lost him. He was my everything. Life came in between us. He went to live with his father, and I barely saw him again. That long hug was a beautiful goodbye. We reconnected years later and developed a friendship, but recovering from such a loss at such a young age wasn’t easy. For either of us. He was special. If I taught him nothing else, I hoped he understood this. I lost my purpose. I could feel the maddening weariness calling my name, urging me to give up. Darkness had settled in over my life, the darkness of uncertainty. I didn’t feel special. I felt distraught. The darkness left me with a permanent reminder of that hopelessness and uncertainty in the form of two scars on my wrist. It would be dishonest to say those feelings went away with time. It seemed as though life was conspiring against me. I worried. I worried I wouldn’t make it into college. I didn’t know it until later in life, but I was struggling with bipolar disorder, a learning disability, and a pathological need to be perfect. I lost sight of everything. I couldn’t see the path in front of me and I felt– no, I knew– that I wasn’t going to make it. Perfection was too demanding. I wasn’t good enough to make it. But I was. I became an honors student and the president of four different organizations at my college. I went on to become a model and a businesswoman, a writer and a leader. I started a program called Unseen Brilliance, where I worked with youth. And I made no more attempts to give up on life. Today, I focus on taking care of myself. I’ve reached out to others with similar struggles and forged bonds that I cherish. I meditate daily and I’m in the process of finishing my first novel. The feelings of giving up still come sometimes, and I think maybe they always will, but they don’t control me anymore. I understand something now that I didn’t before: I am special. I am special. You are special. No matter how dark the world may seem, it is a darker place without you in it. I know it’s hard not to cling to the feelings that plague you, the ones that tell you to give up. It’s hard to imagine a world where you are strong. Where you can make it. I know, I remember. But you are strong. You can make it. You are special. Let go of those feelings telling you otherwise. Be the master of your own fate. 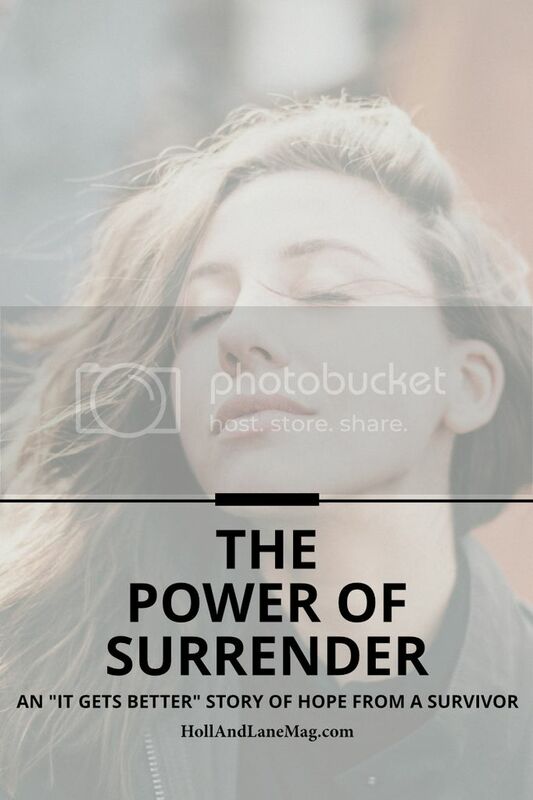 Surrender, and realize how special you really are. Sarah Jeanne Browne is a writer and motivational speaker. She was also a model, activist and actress. She works to empower others with her philosophy of surrendering and finding a respect for life.